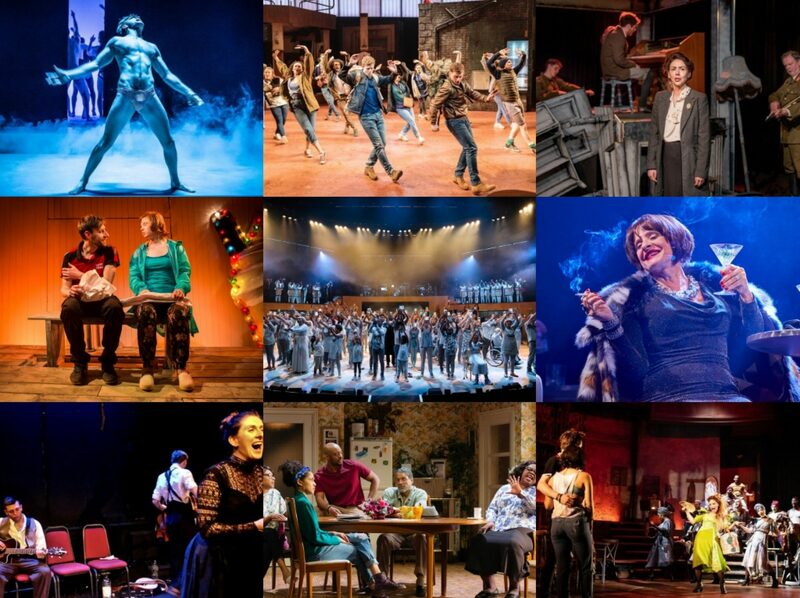 Last year was undoubtedly a great one for Chichester Festival Theatre’s musicals – Singin’ in the Rain and Sweeney Todd both figured very highly in end of year lists and both were granted West End transfers after their sell-out runs. But there’s always a danger in revisiting shows one has loved, there’s no guarantee that the magic will be recaptured again especially in larger theatres. So I’ve currently avoided going back to Singin’ in the Rain in its new home in the Palace (though never say never) and hadn’t thought I’d go back to Sweeney Todd which has just started previews at the Adelphi. But when kindly offered a ticket, I couldn’t resist the opportunity to return to the Demon Barber of Fleet Street. My original review can be read here and in many ways, much of what I said still stands. It’s a highly atmospheric, effective production of Sondheim’s classic revenge tale which lives on its luxury lead casting in a transformed Michael Ball as the titular Todd and an incandescent Imelda Staunton as Mrs Lovett. Staunton truly is epic here, thoroughly attuned to the comedy especially in the one-upmanship of ‘A Little Priest’ but also movingly desperate as her inclinations remain unfulfilled and she is possibly better here than in Chichester. Michael Ball didn’t quite live up to the memory of his performance, missing some of the necessary malevolence, though he still sings the part well. But my overall feeling was one of a little disappointment. A part of it can be attributed to the whole ‘never as good as the first time’ thing which there’s no point denying, but I did find there to be issues with the production in its transfer as well. From the moment we first saw Anthony Ward’s set design, it was clear that it had a proscenium arch theatre in mind – the curved metal garret fits in perfectly into the Adelphi but it paid little mind to the large number of audience members on the sides at Chichester. But even here, it still didn’t feel quite right. The vast expanse of the stage is often very sparsely populated despite the considerable ensemble and more often than not, things are happening at the back of the stage, which combined with the hugeness of the theatre (the Dress Circle goes back to Row O) has a considerable distancing effect and the feeling that things are being missed. The height of the set also means that the back rows of each level are actually restricted view, though not sold as such, which undeniably adds to the estrangement. Matters are not helped by a first act which does take a very long time to get going, I’d be tempted to trim it by about 15 minutes myself, and which too often doesn’t utilise the potential offered by the ensemble. I remain unconvinced by the Anthony and Joanna storyline which not helped by still being anaemically played here, Lucy May Barker still failing to register any sense of character at all. And the train whistle of doom that sounds at random intervals began to really annoy me, as I found myself failing to really engage with the show.